We are a family run company with over 45 years combined experience in concrete with a A plus rating from the BBB. 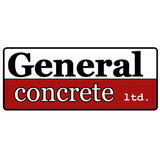 We specialize in replacing your old driveways, patios, retaining walls, small foundations and or anything with concrete. We love a good challenge and with our specialized equipment we can get any job done. We get it done fast as well as the way you want it. We do things right and have a huge track record to prove it. Vancouver Safety Surfacing is a rubber paving company that repairs cracks in driveways and outdoor surfacing with cost-effective, eco-friendly, durable, poured-in-place, rubber flooring. From aesthetically pleasing driveway resurfacing throughout Metro Vancouver to slip-resistant pool decks, our resurfacing can be applied to many different spaces! Our products provide a slip and impact resistant rubber safety surface. Our poured-in-place rubber safety surfacing is designed to give you peace of mind, curb appeal, and to enhance the beauty of your residential or commercial location. We will resurface your driveway, pool deck, patio, deck, garage floor, steps, walkway, or your exterior deck stair treads! Our customers are our number one priority, and that is why we only use environmentally-friendly, low VOC, high-quality products! We have an extensive range of colour options to complement your space. We also carry full liability insurance and WorkSafe BC coverage. Call us today and a member of our team will be glad to answer any questions you may have about our product, applications, or features. Green Tech resurfaces cracked concrete or asphalt with a recycled rubber material that stands up to extreme heat or cold. It creates a water permeable membrane that allows water to slowly flow through which eliminates puddling and formation of ice. Rubber surfaces are durable yet soft on the feet and most driveways and pool decks and patios are installed in one day. On average, 300 tires are recycled and reused for one driveway! We provide an eco friendly alternative to ripping up an old driveway, cracked concrete pool deck or patio. Rubber resurfacing is roughly half the cost of concrete. 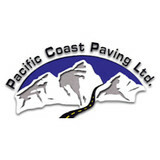 Pacific Coast Paving offer True Quality & Reliable Paving Services no matter the size of project. We pride ourselves by our work and our Clients can vouch for us. Our client's are our first priority, we work with you to complete your paving project. ImpactSealing was established to bring quality and cost effective pavement maintenance services to the beautiful province of British Columbia. We offer asphalt rejuvenation which currently is the best known option available for protecting your asphalt. Rejuvenators differ from sealcoating as rejuvenators penetrate deep into the asphalt restoring oils lost by oxidation thus bringing back the elasticity so it can flex throughout the summer and winter cycles without cracking. Asphalt Rejuvenators should always be applied in dry conditions and the pavement should be cleaned thoroughly. Always make sure you’re working with a reputable company that can back up their products. We also provide concrete sealing as well to protect and beautify your concrete. So call ImpactSealing today and we will gladly come out and take care of all your pavement maintenace needs. Langley, Vancouver, Chilliwack, Coquitlam, Mission, Maple Ridge, Abbotsford, Port Coquitlam, Richmond. Ect... Please call or email us for a free quote or any questions. Epic Surfacing combines high tech polymer resins with rubber to create a resilient, non-skid surface that not only absorbs impact, but is also virtually indestructible. Available in a variety of colours, whether your job is inside or outside, 50 square feet or 5000 square feet, Epic Surfacing is the perfect solution to your surfacing needs. We resurface over concrete, asphalt, tile, wood, gravel, and many more applications to give you the most aesthetically pleasing and safe surface. Continue exploring our website to see videos, pictures, and information that will give you a more in-depth look into our rubber safety surface that will help you understand why you need to use Epic for your next project! NCON Provides Asphalt Paving, Seal Coating, Lot Striping and Concrete work. 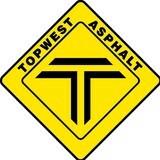 Topwest Asphalt Ltd. is a pavement design and Asphalt Paving services company established in 2007. Jay Chauhan founder of Topwest Asphalt Ltd., is an expert in roadway, parking lot and driveway construction. He has over 15 years of experience in this field. He is passionate about his work, and has trained and incorporated the most experienced and hardworking individuals into his team. Western Concrete Pumping, Inc. is family owned business, serving Northwest Washington since 1978. We are dedicated to customer satisfaction and job safety. With 20 trucks in our fleet running out of Bellingham and Stanwood, we can conveniently service all of your concrete pumping needs in the Pacific Northwest including Whatcom, Skagit, Snohomish, Island and San Juan Counties! Over Thirty-Five Years of Earning a Solid Reputation for Quality Concrete Construction in the Lower Mainland and throughout B.C. Since 1976, Avante Group has been dedicated to the professional installation and repair of all your commercial and residential concrete construction needs. We pride ourselves on our track record and reputation for quality service, competitive pricing and on-time service. At Avante Group, our reputation for excellence through-out the lower mainland is the pride and lifeblood of our business. With our resources of dedicated concrete professionals, we are able to staff and complete any project of any size. From installation to repair, Victoria, BC driveway contractors are responsible for a variety of planning, installation, construction and driveway maintenance services. Driveway installation. Before work begins on a new or replacement driveway, your professional should create plans based on your needs and material choices, as well as your property grade, soil and other British Columbia landscape factors. When it comes to the actual driveway construction, driveway contractors are responsible for preparing the site, obtaining the necessary materials, making sure a strong foundation is laid, operating equipment and heavy machinery, and cleaning up the site afterwards. Driveway materials. While most driveway contractors in Victoria, BC primarily work with asphalt, they are also experts on the wide range of available driveway materials. If you are looking for something different than a standard asphalt driveway, your pro can help you select driveway pavers or customize a brick driveway design. A driveway installation and maintenance professional may work closely with a Victoria, BC builder, landscape professional or various manufacturers and suppliers. Find a Victoria, BC driveway installation and maintenance professional on Houzz. 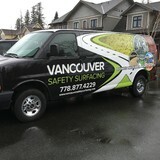 Narrow your search in the Professionals section of the website to Victoria, BC driveway installation and maintenance. You may also look through Victoria, BC photos to find examples of driveways that you like, then contact the professional or contractor who worked on them.